Il Casale del Madonnino is the ideal destination for those looking for a holiday home in Volterra. We are at about a 20 minutes drive from Volterra, the hilltop Etruscan, Roman and medieval town dominating the Era and Cecina valleys. Surrounded by a beautiful, uncontaminated landscape, here the quality of life is still on a human scale and the town's main resource is based on the artistic handicrafts of alabaster, a typical product of this area. 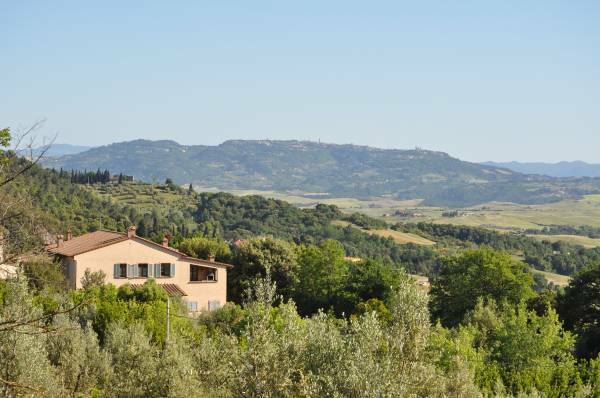 Il Casale del Madonnino is the ideal Tuscan holiday home for visiting Volterra during your holidays due to its proximity.